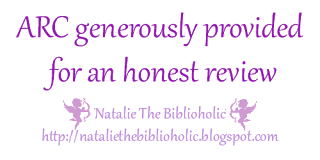 ARC Review: The Mafia And His Angel: Part 1 by Lylah James | The Biblioholic ~ Read more. Sleep less. Ayla is the daughter of an Italian mob boss. Life in the mafia is the only life she’s ever known. A life she no longer wants. Married to one of her father’s men, a man she was promised to at an early age, is not the stuff of dreams. Her husband has beaten and brutalized her repeatedly and she’s had enough. Desperate circumstances merit desperate measures and Ayla runs away, right into the path of a man who would rather kill her than help her if he knew who she really was. Alessio is the pakhan of the Bratva. He’s cold and he’s lethal. He’s obviously got a dark and painful past. When he discovers Ayla in his home, rather than killing her or turning her out, he observes her brokenness and offers her a job as a maid. Over time, his intense fascination with her starts to break down his impenetrable walls, but he’s reluctant to explore anything. Especially because he knows she’s keeping secrets. When Ayla’s secret is revealed, will it serve to bind them, or will it drive these lovers apart? I don’t know the answer to that yet because this book ended on a cliffhanger. There’s a very unexpected twist that has me eager to get my hands on part two. The Mafia and His Angel wins points for its character development and the plot. However, when I started this book, I did think that it would be a tad darker than it turned out to be. While the actions of the Bratva were typical of what you would expect, I didn’t find them scary or twisted. Alessio definitely had a soft side and sometimes I thought he and his members were too soft. That could also be because there wasn’t much in the way of action in this part and maybe the situation will change in the next one. If you’re a fan of mafia romance, you’ll definitely find many things to enjoy about this one!